Opened during the time of Soviet Union, the Baku Metro system serves the capital city of Azerbaijan, Baku. Running for nearly 48 years now, it is a rapid transit system that serves 25 stations over bi-directional tracks, made up of 3 lines over a span of 36.66 km. 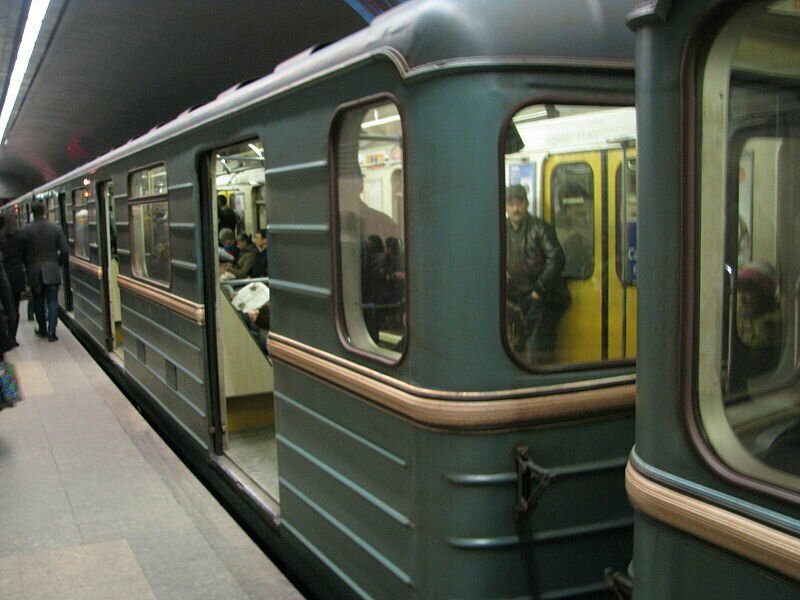 The only metro of Azerbaijan and only the 5th metro in the Soviet Union, the Baku Metro boasts of an annual ridership of 215.5 million (2014). Operated by the Baki Metropoliteni, the future for this metro system looks bright. With expansion plans already underway, there are plans of constructing approximately 76 new stations by the year 2030. The Baku Metro operates from 6:00am in the morning to 00:00 am, midnight. The fares for the Baku Metro are paid via a card known as a Bakucard. There are two types of these cards, one for extended use and another for limited use. The Bakucard for extended use costs 2.00 AZN. Whereas, the Bakucard for limited use costs just 0.20 AZN but make sure you select the number of times you will use the card to pass into the metro. The maximum of 4 passes can loaded into one card. Some of the stations offer park and ride facilities to its passengers. One cannot enter the metro stations of the Baku Metro under the influence of toxic substances like alcohol, drugs etc. Smoking is prohibited in the station as well as on the trains. Be careful of your clothing, as clothes that are liable to stain the clothing of other passengers are prohibited as well. Photography and videography is prohibited without permission of the Baku Metro Management team. 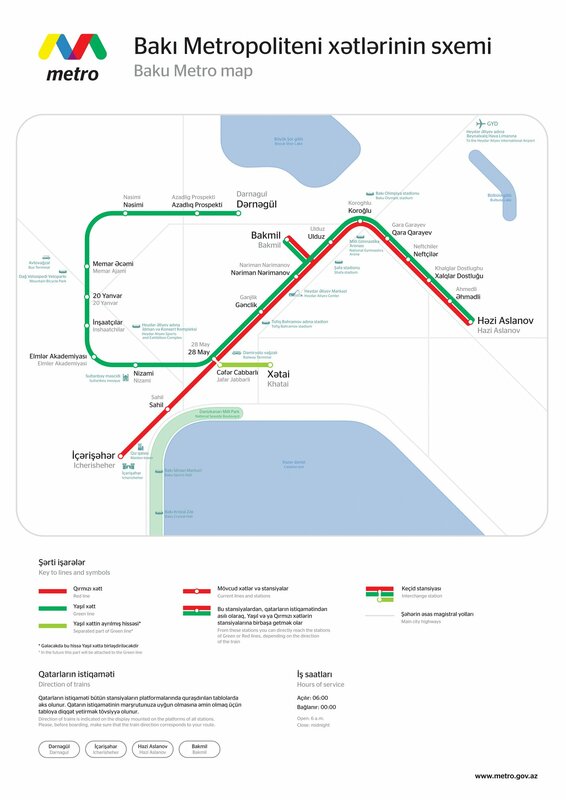 Currently, the Baku Metro has 3 lines serving 25 stations. The lines are identified by specific colours. Line 1: Line 1 which is represented by the colour red, was opened in the year 1967 and it operates between the Icheri Shehar and Hazi Aslanov. It spans about 20.1 km in length, covering 13 stations. Line 2: Line 2 which is represented by the colour green, was opened in the year 1976 and it operates between Sah Ismail Xatai and Darnagul. It spans about 14.5 km in length, covering 10 stations. Line 3: Line 3 which is represented by the colour purple, was opened in the year 2015 and it operates between Avtovagzal and Memar Əcəmi. It spans about 2.1 km in length, covering 2 stations.